This is the e-architect archive page for Architecture News July 2009. 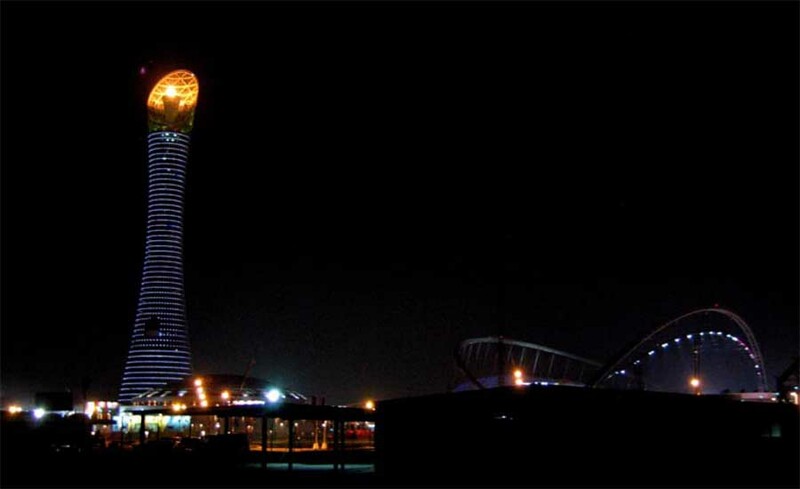 The exterior lighting scheme for Aspire Tower in the Sports City was inaugurated at the opening of the Asian Games in Doha, Qatar on December 1st 2006. Kevan Shaw Lighting Design won an international design competition for this project in September 2005. The project team is led by a Joint Venture between Midmac & Sixco contractors.